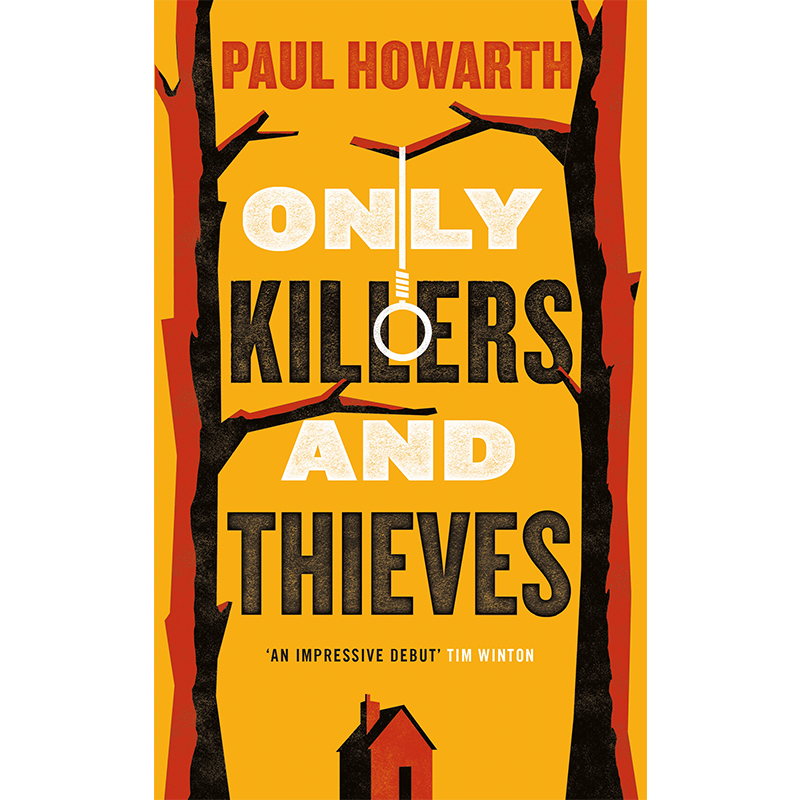 Paul Howarth’s debut novel Only Killers and Thieves opens in 1885 in Central Queensland, Australia. The colonisation process has been underway for a long time, but a large section of the country is unexplored by the Europeans, and several aboriginal tribes are struggling for survival. Against this historical background, Howarth has build the story of two brothers, Tommy and Billy. Billy is the oldest, though still a teenager like Tommy, and they have a younger sister, Mary. Their family owns a stretch of land where they are trying to raise cattle, but they find themselves in the middle of a severe drought, to the point where their livelihood is in danger. One day, Tommy and Billy return home to find their parents brutally murdered, and their sister barely alive with a bullet in her gut. After they bring her to John Sullivan, the region’s richest man and ex-employer of their father, a plan starts to form. With the assistance of infamous Inspector of the Queensland Native Police, Edmund Noon, the brothers, John Sullivan and his right hand man Raymond Locke saddle up for a mission deep into the desert. A suspicion become accusation sets the group on a vengeance mission against the Kurrong tribe. What follows is a brutal story of violence that cannot be read independently of the bloody history of colonialism, not only in Australia, but all over the world. Only Killers and Thieves is beautifully crafted as a very personal story, with Tommy and Billy at the centre of it, while around them we witness the perishing of their family, the authorities acting above everything, and the story of a country whose history was built on violence and pain. Even so, it never loses focus; it’s always following Tommy, looking at the world through his moral compass and his changing perspective. It is not by happenstance that Tommy has his fifteenth birthday the first day they set out for their journey. As Tommy and Billy are shown to be worlds apart in how they react to everything happening around them, the gap between them ever-growing, the one character that intrigues the most is Noone. The measured and mostly silent inspector strikes fear into every man’s heart wherever he goes, his reputation preceding him, so when he starts talking to Tommy, the relationship that seems to be forming is something very uncommon. He is not a mentor, nor does he want to be, but he is the only one who can perceive not only Tommy’s intelligence, but also his true character. The first quarter of the book takes its time setting everything in its place, every character unhurried, before tragedy strikes. We see the brothers as children playing together, going on adventures in the desert, before we see them as orphans who are forced to grow up too fast. The pace quickens with every chapter, it becomes more and more brutal, and it acquires a quality of painful realism that is found in the best westerns. There is something reminiscent of Huckleberry Finn and Tom Sawyer in the beginning, and then it reads as if Cormac McCarthy picked up the first drafts of Mark Twain and finished them. Which is something very welcome that has been missing in westerns since Charles Portis’ True Grit. Only Killers and Thieves is published by Pushkin Press in the UK and comes out on 7 June. BA English Literature, MSc Publishing. Passionate about contemporary literature, noir comics, beautifully shot films, and whiskies that are old enough to order their own whiskies. Can bore you to death with La La Land songs, Hollywood trivia, George Carlin references, and extensive knowledge on Leonard Cohen.